Your first trip to Olomouc was just a tease. On a whim, you jumped on an east-bound train for the day. It was only two-and-half hours from Prague. You were promised a charming historic center, beautiful churches, and pungent cheese. You found all of them, as well as cute wine bars, lively breweries, and tongue-in-cheek street art. You quickly became hooked on this undiscovered gem and vowed to return. Now you just need to decide where to stay. Olomouc is the historical capital of Moravia (the Czech Republic’s easternmost province) and the sixth-largest city in the country. It was founded as a Roman fort, taken by the Swedes, and captured by the Prussians. And that’s before it became part of Czechoslovakia. There was one constant amidst all the changes in the city, though. It was the Catholic Church. Olomouc has been the seat of the Catholic Archdiocese for almost 1,000 years. No wonder its Baroque and Gothic churches are famous throughout Europe. You’ll have plenty of time to visit—in some cases revisit—the churches later. But first your hotel. Your first option is the Theresian Hotel & Spa. If its name sounds familiar, it’s because it was named after and is located near the Theresian Gate, which was once part of Olomouc’s fortress. The small boutique hotel was recently renovated. Though it still has its historic facade, the interior is sleek and modern. The rooms have blonde wood floors, bright white linens, and lots of natural light. The cave-like Theresian Restaurant serves modern Czech cuisine, produce from a farm near Zlín, and plenty of South Moravian wines. But the best reason to stay here is the top-floor spa. It features a hydrotherapy bath and a Finnish sauna. It’s worth booking an appointment just for the view. If you prefer quirky and homey when you check into a hotel, then you’ll prefer Miss Sophie’s. 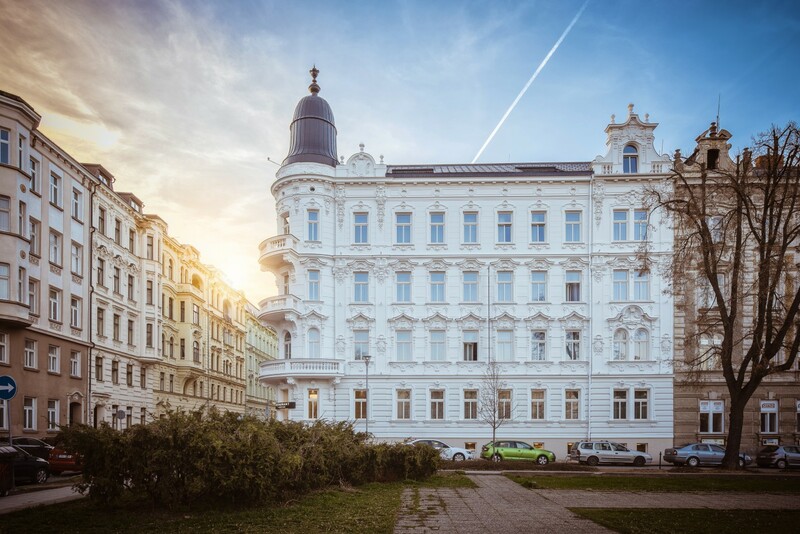 This new boutique hotel is located in between Horní náměstí (Olomouc’s largest square) and the Museum of Modern Art. Like the Theresian, it’s in an old building. But that’s where their similarities end. 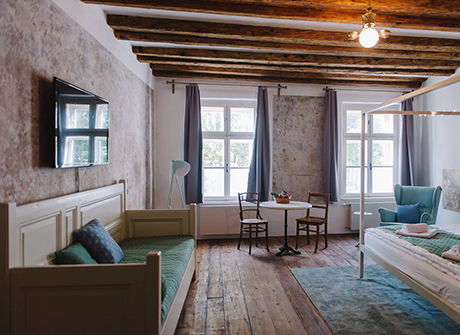 The eight cute rooms feature old wooden beams and daybeds. There’s a huge rain shower in your bathroom. Breakfast is served at mismatched tables and comfortable chairs at Sophie’s Cafe. You’ll probably return for more La Bohème coffee or a Chomout beer throughout the day. While you’ll quickly claim the swing out in the garden as your favorite spot at the hotel. Your third choice is on the outskirts of the city. It has a cheesy casino and a gaudy spa. So why would you even consider the Theatre Hotel? Simply because Entrée Restaurant is one of the most exciting restaurants in Olomouc. The restaurant is run by an award-winning chef. 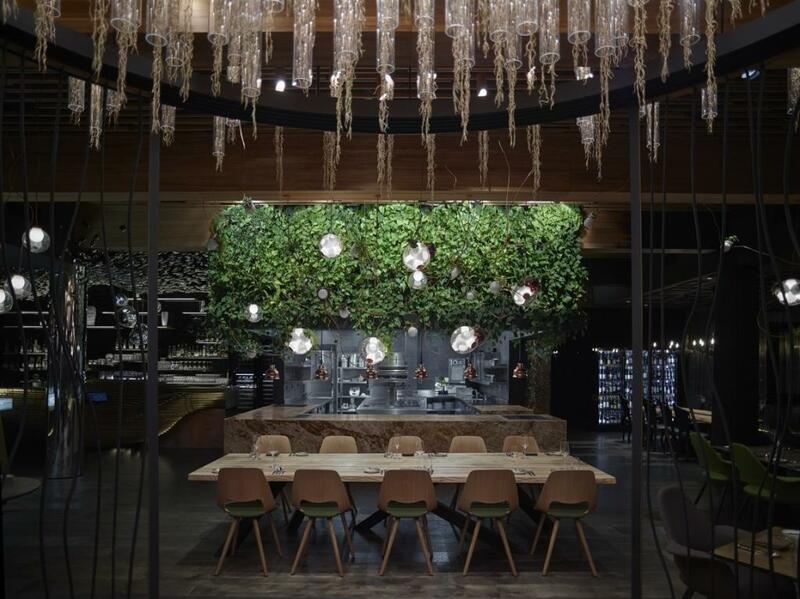 It features an open kitchen, a live wall, and hanging plants. The seasonal produce is evident right from the cocktail menu. Celery, green apple, kaffir lime, and lovage are in the In Love with Lovage; Where the Wild Roses Grow features raspberry and rose. Plus the artful dishes on the tasting menus are created around local radishes and beetroot, sockeye salmon and pork. After dinner, you’d just have to go upstairs to your junior suite and freestanding tub. So would you prefer a chic, bohemian, or foodie hotel? It’s up to you. Just go with your gut. It’s what brought you to Olomouc in the first place.